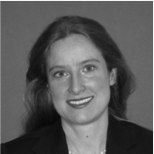 Sabine specializes in the fields of international dispute resolution, in particular international arbitration and public international law. She regularly advises investors and governments and also sits as an arbitrator. In 2007 and again in 2013, Sabine was designated by the Government of the Federal Republic of Germany to the Panel of Arbitrators of the World Bank’s International Center for Settlement of Investment Disputes (ICSID).